Home / Picture Rail System. 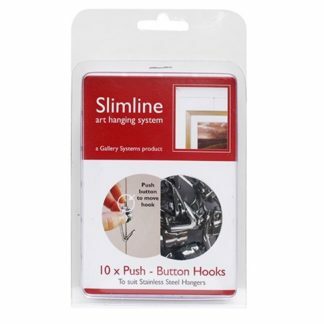 Add the functionality of a modern hanging system to existing picture rails. Picture Rail System. Add the functionality of a modern hanging system to existing picture rails. The Traditional Picture Rail System, as the name suggests, works with original or new timber rails as found in Victorian style homes. Modern design picture rail hooks fit over the wooden rail without any complicated installation required. Our picture rail hanging systems allow you to hang artworks one under the other and move art around as required. This allows you to easily create the ideal space in your property, giving each artwork a special place on your wall. It also enables you to move pieces around to fit new ones in as required. 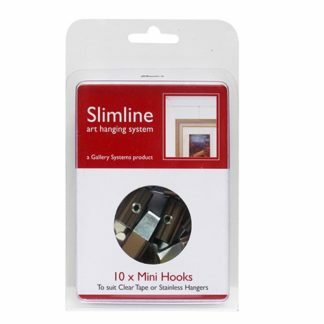 High quality picture rail hooks in solid brass or stainless steel, combined with stainless steel hangers will add a traditional look to your display and secure your artwork the way a modern system should. The improved design of the hooks positions the stainless steel cable much closer to the wall, which means the pictures will sit at the proper angle rather than leaning too far forward as they do with old fashioned solutions. The brass hooks are clear coated to prevent tarnishing. 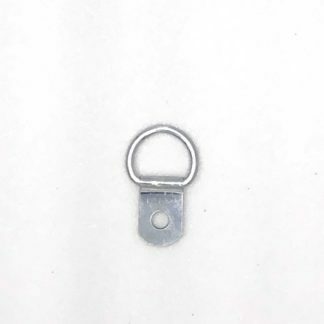 Suitable for use with any of our Standard or Slimline System hooks. To learn more about our hanging systems or to make an enquiry please get in touch with us today. If you would like to make a purchase, simply buy online or phone/email us to discuss your requirements. Fast delivery throughout Australia.